Fall Armyworm (FAW) (Spodoptera frugiperda): FAW continued being a problem to maize and other crops in eastern, central and western Africa during August. It was detected in Yemen in mid-July. The pest continued spreading in southern India where it was reported causing damage to maize crops. It will likely spread to other countries in southern, southeastern and eastern Asian countries..
African Armyworm (AAW) (Spodoptera exempta): AAW outbreaks were not reported in August. Southern Armyworm (SAW) (Spodoptera eridania): SAW is a pest native to the Americas and common in southern USA to Argentina poses a threat to agriculture elsewhere. So far, the pest has not been detected in Africa on an outbreak scale, but if and when detected, this ravenous pest could become a heavy burden to small-holder farmers. FAW continued its presence in several regions in Africa and India where it has been causing damage to rain-fed and irrigated crops. In eastern Africa, the pest was reported attacking crops in Kenya, Uganda, Tanzania, South Sudan, and Ethiopia during August. It is likely that the pest is present in Burundi, DRC and Rwanda where updates were not available at the time this Bulletin was compiled. FAO and its partners developed an interactive FAW Risk-Index heat map to help monitor the potential level of risk of FAW situation in affected countries across Africa, Yemen, etc. In Kenya, FAW outbreaks were reported attacking early planted maize in Kericho, Nyeri, Embu, Nakuru and Meru Counties. Survey operations continued to ascertain the situation FAW in other parts of the country. 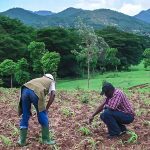 In Tanzania, FAW was reported in the northern region where maize crops are attacked and control is being effected by the affected farmers with technical and material assistance from the MinAgri. Awareness raising by PHS continued. In Uganda, FAW continued appearing in western and northeastern parts of the country, including Busoga and Karamoja where largely late planted maize crops were most affected. MinAgri provides technical and material assistance to affected farmers. OFDA co-funded project continued providing training to community focal points. 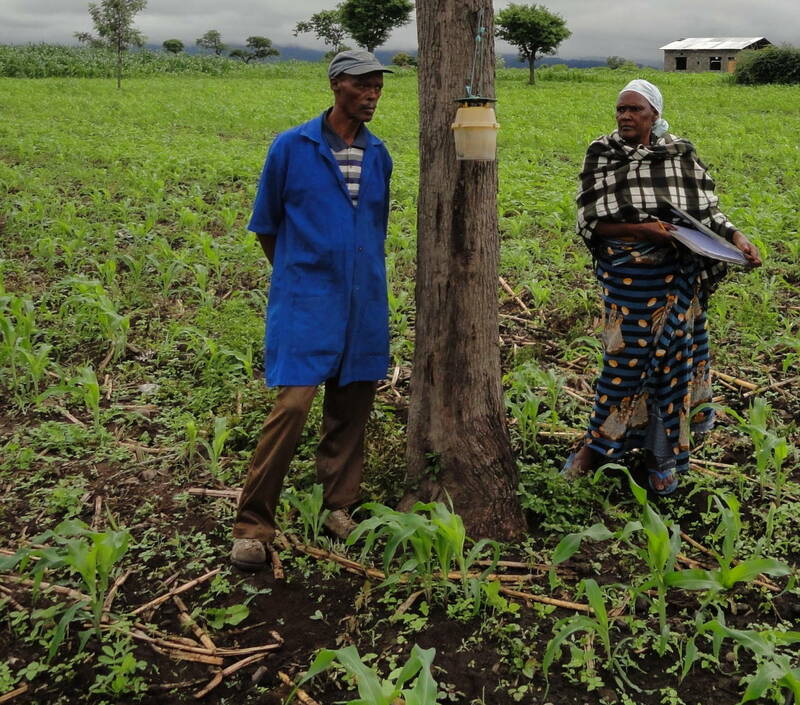 In Burundi, FAW was reported on maize crops that were planted in mid-July (IRLCO-CSA, FAOSFE, PHS/Tanzania, PSMP/PMI). 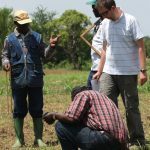 In Ethiopia, the pest was reported in hundreds of districts in seven administrative regions where hundreds of thousands of ha of maize crops have been reported affected. In Somalia, the pest was reported attacking sorghum and maize crops, but further details were not available at the time this bulleting was compiled. In South Sudan, the pest was reported affecting maize crops in regions in the Western, Central and Eastern Equatorial States where affected farmers are employing handpicking and in places like Yambio they are employing plant-based pesticide with a mixture of extracts of leaves of a common shrub weed, locally known as Babachico (Chromolaena odorata – common name Siam weed, devil weed, triffid…) and chili pepper. C. odorata contains carcinogenic alkaloids toxic to cattle and cause allergic reactions. The plant is also known for its larvicidal chemical that can affect major mosquito vectors as well as funcigicidal, nematicidal and other useful properties https://en.wikipedia.org/wiki/Chromolaena_odorata(FAOSFE, IRLCO-CSA, PPD/Ethiopia, PPD/Somalia). In Nigeria, FAW was reported in 11 communities in 7 Local Governorate Areas in Borno State in northeastern part of the country during this month. In some communities, economic loss was estimated at 1-5%, but no damage data was available for other communities in the 7 local governorate areas during this time. Control operations were not implemented during this time. In Mali FAW was detected in maize fields in July due to early summer rainfall and continued in August) (FAONG, DPV/Mali). In Yemen, FAW was first sighted in April, 2018 in Taizz in southwestern part of the country (not sure if it was confirmed) and by mid-July it was reported in the central highlands south of Sana’a. The pest is expected to have reached the Seychelles Island as well, but has yet to be confirmed. In southern India, FAW continued causing severe damage to maize crops in in Chikkaballapur, Hassan, Shivamogga, Davanagere and Chitradurga from July- August 2018. The incidence range was 9.0 to 62.5% at various locations, with the maximum incidence recorded in Hassan district and the least at Chitradurga district. Several species of FAW natural enemies were detected along with the pest during surveys that were created in all five districts in Karnataka State in southwestern part of the country. The natural enemies include egg parasitoids, e.g., Telenomus sp. and Trichogramma sp. (Hymenoptera), gregarious larval parasitoid – Glyptapanteles creatonoti (Hymenoptera), a solitary larval parasitoid – Campoletis chlorideae Uchida (Hymenoptera), a solitary indeterminate Hymenoptera larval-pupal parasitoid – G. creatonoti – a well-established parasitoid that attacks various noctuid spp. in India and Malaysia. Other predatory natural enemies such earwigs and a pathogenic fungus, Nomuraea rileyi were also collected in large numbers in areas where the pest was detected. Studies are underway to develop means and ways to effectively manage the pest (Shylesha et al., 2018: http://www.informaticsjournals.com/index.php/jbc/article/viewFile/21707/17850 http://www.nbair.res.in/recent_events/Pest%20Alert%2030th%20July%202018‐new1.pdf). AAW season had ended in the southern and central and eastern outbreak regions. No reports were received from Sahel West Africa at the time this report Bulletin was compiled. FAW will continue being a threat to irrigated and rain-fed maize and other crops across several regions in Africa and Asia during the forecast period. 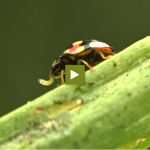 This situation is becoming more evident particularly in countries with more than one rainfall pattern and irrigation systems allow continued presence of favourable ecological conditions for the pest to survive, breed and cause damage to crops. The seasonal rainfall that started in the Sahel West Africa earlier than usual will likely continue maintaining favourable conditions for the pest to further breed, spread and attack crops. Early detection by PPD/DPV and community forecasters remains critical. AAW may appear in northern Eritrea and a few countries in Sahel West Africa during the forecast period, but significant developments are not expected during the forecast period.